Register HERE to sign up for your audition today. Our program began with an inspiring experience working with young musicians in a professional orchestra setting. In 2010, Lions Gate Sinfonia and Music Director Clyde Mitchell launched a project to select piano students through an audition process and prepare them for a staged performance with our professional orchestral musicians. The young pianists received a week-long learning opportunity to prepare their performance with a professional ensemble. They were coached on the process that professional musicians go through to make live music for an audience. The performance was astonishing and the transformation in each of the young performers was immense. Following on this success, we began exploring ways to create this kind of experience for more young musicians. The resulting program is Lions Gate Youth Orchestra, which provides ongoing connection between young musicians and their professional mentors. This relationship elevates the basic youth orchestra experience through direct insights into the professional realm. On the foundation of musical training and mentorship, we also focus on leadership and teamwork development. Even in collaboration, leadership is required to not only maintain focus but to apply goals and evaluate performance. Teamwork is a foundation to success in any group endeavour, our students learn the responsibility of working together. 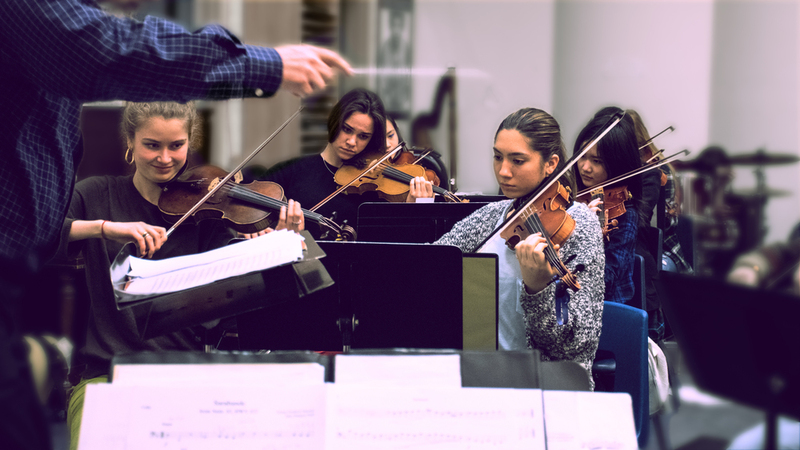 Our program features coaching from our professional orchestra musicians, Lions Gate Sinfonia, sectional rehearsals, and unique sessions on the non-musical aspects of performance. This real world opportunity brings together everything they have learned, to make it to the stage. 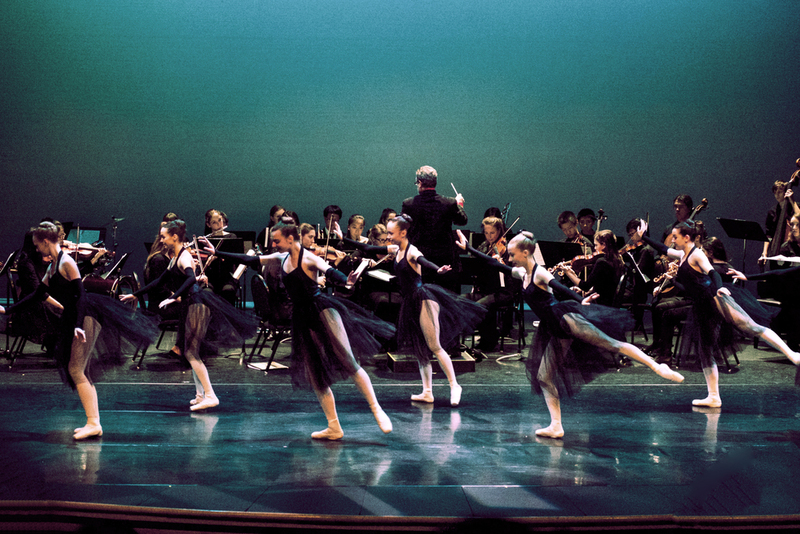 Lions Gate Youth Orchestra offers programs for students from 13 to 19 years of age. Rehearsals and coaching sessions take place at Handsworth Secondary School, with performances at community venues and professional theatres across the North Shore. The professional musicians of Lions Gate Sinfonia serve as mentors to our young musicians, with multiple joint performance opportunities throughout the year. Tuition fees include all rehearsals, performances, mentorship, and an annual retreat. We are welcoming new musicians for our 2019/20 season. Join our friendly and welcoming North Shore youth orchestra NOW. Rehearsals are on Thursday evenings from September to May at Handsworth Secondary School. Register now to book your auditions while places are still available. The audition process for members is an important part of the learning experience we offer students. We want to get to know both the students playing abilities as well as their personalities. We are looking to build a dynamic group of young people who possess the ability to collaborate and work towards common goals. 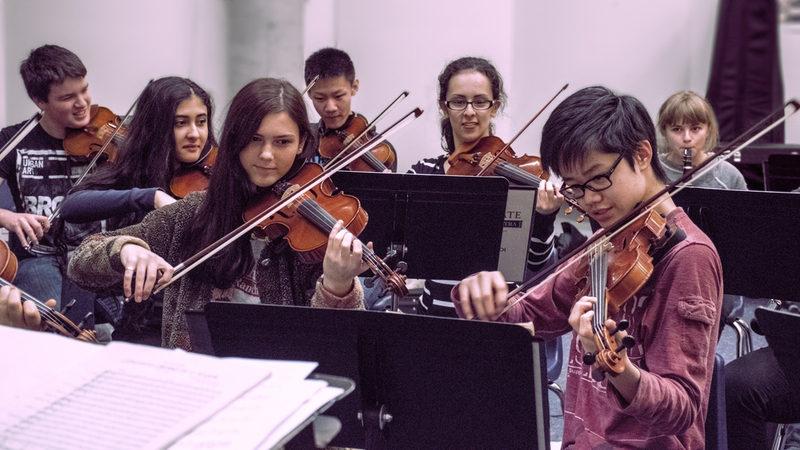 Lions Gate Youth Orchestra is striving to ensure that the cost of participation is not a barrier to students. We rely on donations and sponsorships from corporations, foundations and individuals to enhance our program and make this opportunity available to everyone. 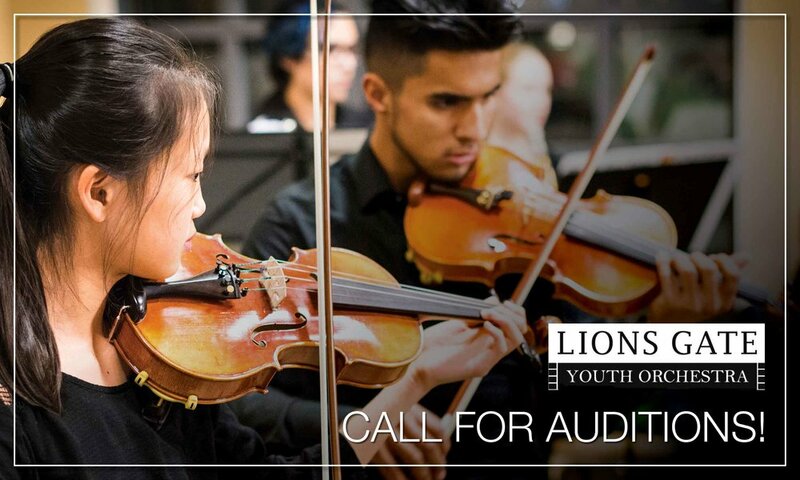 Become a Friend of Lions Gate Youth Orchestra: $10 or more.